Besides high blood pressure, high intake of salt — main source of sodium — may be associated with an increased risk of developing diabetes, researchers have found. The findings showed that for each 2.5 extra grams of salt (equivalent to each extra gram of sodium) consumed per day, there was an average 43 per cent increase in the risk of developing Type 2 diabetes. 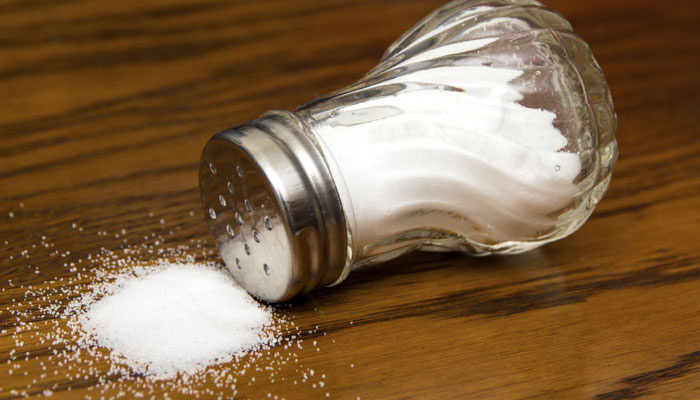 According to researchers, the association sodium — which makes up 40 per cent of salt — may be because of a direct effect on insulin resistance, and/or by promoting high blood pressure and weight gain. Further, higher salt intake was also linked with a high risk of developing Latent Autoimmune Diabetes in Adults (LADA)— a form of Type 1 diabetes in which the insulin-producing cells in the pancreas are destroyed by the body’s own immune system. The study showed that the effect of sodium intake on the risk of developing LADA was even greater, with a 73 per cent rise for each gram of sodium consumed per day. Patients with high risk leukocyte antigen (HLA) genotypes whose sodium intake was classed as ‘high’ (over 3.15 gm/day) were almost four times more likely to develop LADA than those consuming the lowest (under 2.4gm/day). “We confirm an association between sodium intake and type 2 diabetes (and that) high sodium intake may be a risk factor for LADA, especially in carriers of high risk HLA genotypes,” said lead author Bahareh Rasouli from IMM, while presenting the paper at annual meeting of the European Association for the Study of Diabetes (EASD) 2017 in Lisbon.